Many midlife women simply have too much to do every day, and usually solve this problem by starting on the next project the minute the first one is completed. If you lead this kind of crazy, busy life, you may deal with your overload in a similar way. In other words, you don’t take that “pause that refreshes,” and don’t receive the benefits of celebrating a job well done and gaining energy for your next undertaking. 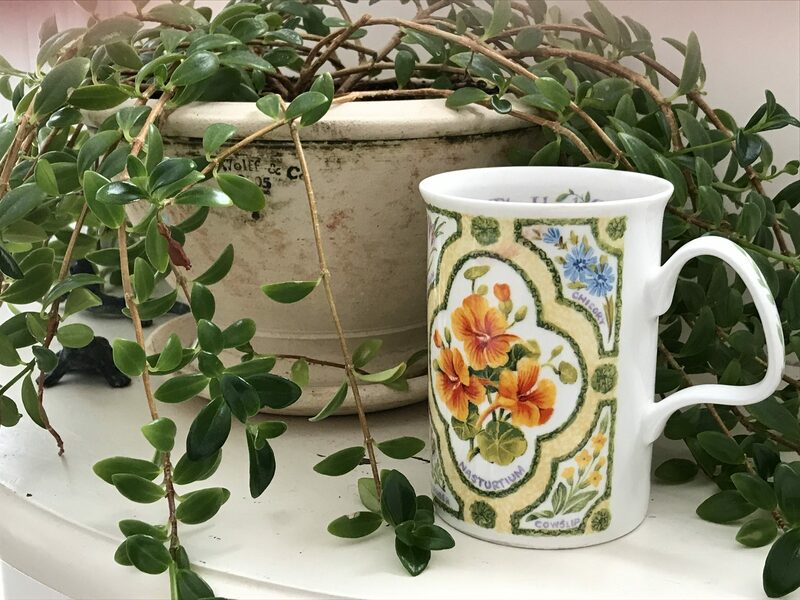 It may sound simple, but relaxing with a hot cup of tea for only five minutes can provide enough breathing space to celebrate completing a project and restore your energy before embarking on another. While taking a break with “a hot cup of tea” will help you deal with that harassed feeling of too much to do, a more permanent fix for the overload dilemma is to cut the number of items on your to-do list. Sounds simple, but in reality this reduction may prove quite challenging. The secret to trimming your to-do list is to learn to say NO. Not to worry — help is at hand. Week 3 of my nine-week journaling eCourse, Reinvent Your Life ~ Write Now addresses very this concern. To create even more zen in your life, I’ve discounted the eCourse more than 20%. From now until the end of February, it will only cost $35.00. You can head here to learn more. Why not download the program and sip a cup of hot tea while you write your responses to the journaling prompts and discover ways of saying NO. You will lighten your daily load and move forward more easily in your life. P.S. it would be fun to learn what your favorite hot tea is. Mine is Barry’s Breakfast Irish tea first thing in the morning, then Stash’s chai spice black tea to pause later in the day and finally Twining’s decaf Earl Grey for unwinding in the late afternoon. What’s yours? And another great thing about any herbal tea break is that it hydrates us! I find it challenging to remember to drink enough water in the cooler months, and we need that hydration. Thanks, Stephanie! Great point about the hydrating effects of herbal tea! Great, Bonnie……. I practice Zen & Meditation daily post a cup of steaming hot tea (generAlly: green ,but, I must say I love my Twinning’s Irish bes). The calm is wonderfully absorbed for the rest of the day. I began this exercise 2 or more years ago when my husband was diagnosed with Alzheimer’s /Dementia. This relaxant sans medical intervention ( for me to cope) has been a Godsend. Thank you so much for reminding me here………and the rest of your lucky readers. Great to hear from you, Elaine! And from Kittery where I lived once upon a time and where my second child was born — what a beautiful town! Love hearing about your tea ritual that helps you cope with your husband’s diagnosis of Alzheimer’s/Dementia. I have often recommended a book for many wives in your situation called, “Going the Distance: Caring for a Loved One With Lewy Body Dementia.” It was written by a Wellesley classmate of mine, Betsy Turner Jordan.